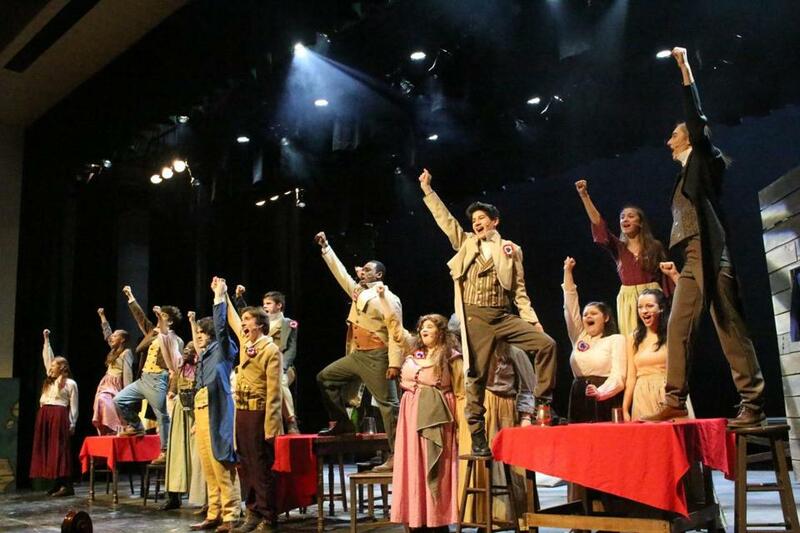 Canton High School presented a passionate and professional production of “Les Miserables” to standing ovations. If only you could wrap up a few happy moments and give them back to people when they are in need of happiness. If only you could freeze the best of times the way you freeze fresh-picked blueberries in June to savor again on a December day. We have memory, yes. But memory is a tease, a still shot, a small picture of what was, not all of what was. It’s a blueberry pie on the cover of a gourmet magazine, beautiful to look at but tormenting, too. You can’t smell it warming in the oven. You can’t taste its tangy sweetness and it can never, ever satisfy you because it isn’t real. This isn’t real, either: It’s an August night and I am 7 years old, mosquito bites on my arms and bruises on my knees, leaning my forehead against a telephone pole, on Davis Road, a dirt road with just three houses. I see the houses, one green, one white, the other in the shadows. And though my eyes are closed and my back is to my friends, I can see all the kids behind me, Michelle, Ann Marie, Janet, and a boy named Robert. “One, two, three, red light!” I shout. If I could draw, I could paint this scene. If I were a filmmaker, I could recreate it. But even with imagination and all the technology that exists today, I cannot make this moment real. I can’t hear my little-girl voice or the squeals of my friends. I can’t smell the soft summer night. I can’t feel the mosquitoes biting. I can’t turn around and run back to my childhood and my friends and reenter this world, because memory is just a picture, not the real thing. And it’s the real thing that you miss and that you want sometimes. I wish I could wrap and save what I saw at Canton High School last week. I wish I could store it and freeze it and give it back in a year, or 10 years from now. Because magic happened there. High school students put on a passionate and professional production of “Les Miserables,” a three-hour play about the French Revolution in which every word is sung. I had my doubts before the curtain went up. A few notes in and I was hooked. I went three times. That’s how excellent this show and these kids were. I wish I could box the love and talent and camaraderie that propelled and sustained three nights and an afternoon of theater, and give this love and talent and camaraderie back to these kids, whenever they need a boost, whenever they feel down and alone. Years from now, or maybe next week, next month, they might need to be reminded of who they were alone up on a stage, talented and happy and confident. They might need to remember, too, who they were all together, a single entity, outstanding and exceptional, the whole of them bigger and brighter than the sum of their parts. A cast of nearly 100, plus more kids behind the scenes, backstage, and in the orchestra, kids working the lights and the soundboard, kids working on sets and costumes and makeup and publicity and ticket sales, everyone working together created something unique and magical. Remember. That’s all these kids can do. That’s all any of us can do, look at pictures and home movies, tell our stories and remember that once upon a time, a week ago, a lifetime ago, this was me.